Gainesville bed and breakfast travel guide for romantic, historic and adventure b&b's. 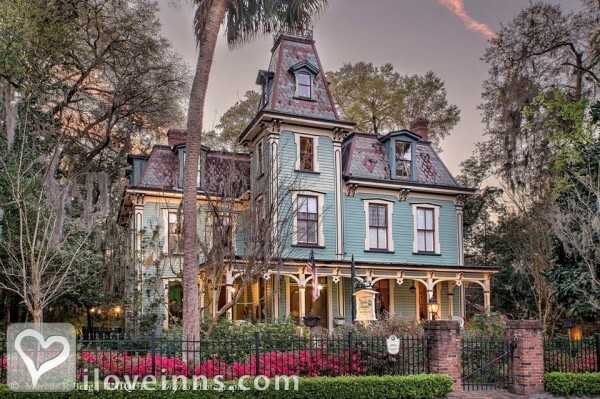 Browse through the iLoveInns.com database of Gainesville, Florida bed and breakfasts and country inns to find detailed listings that include room rates, special deals and area activities. You can click on the 'check rates and availability' button to contact the innkeeper. Known as the home of the University of Florida, the largest and oldest university in the state, and Santa Fe Community College, Gainesville has earned the reputation of being an education and culture hub of Florida. More to this, Gainesville is the heart of independent music in the state, producing numerous recordings of different genres. Stay in a Gainesville Bed and Breakfast and enjoy learning about the city. The top place to visit is the Florida Museum of Natural History at University of Florida that exhibits native American and natural history. Nature lovers can be one with nature by dropping by Butterfly Rainforest, Kanapaha Botanical Gardens, Marjorie Kinnan Rawlings Historic State Park and Paynes Prairie, a nature area with woods and swamps that hosts the information center describing the wildlife in the area. Don't forget to visit the Hippodrome State Theater which is the architectural centerpiece of Gainesville's Historic downtown. By Magnolia Plantation Cottages and Gardens.